Some of its top features are hidden away, but the results speak for themselves. We're a skeptical bunch at Engadget, and when Huawei briefed us on its P20 Pro smartphone, listing an endless torrent of specifications and dubbing its Leica Triple Camera system "the most advanced camera on a phone yet," we collectively rolled our eyes. Forty-megapixel camera sensor? I've heard that one before, Huawei. 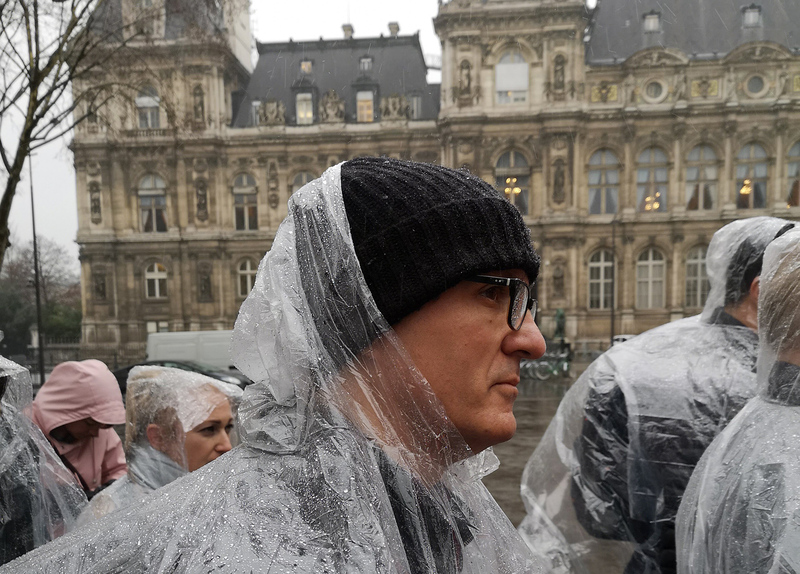 It was only once I was able to test the P20 Pro away from briefing rooms and technical demos (spending a day shooting around a rain-soaked Paris) that the phone started to win me over -- and others. If you like the idea of an accomplished 5x zoom function, and the potential for gorgeous nighttime photography, you have to consider Huawei's latest phones. First, let's summarize some of the major camera specs. All the fun is centered around the "Leica Triple Camera." That includes an 8-megapixel telephoto shooter with an f/2.4 lens and optical image stabilization and a 40-megapixel camera with an f/1.8 lens. Oh, and there's an extra 20-megapixel monochrome sensor (with f/1.6 lens) and a color temperature sensor for accurate white balance. If you needed one more lens, don't worry: There's a 24-megapixel front-facing camera too. However, coaxing the temperamental AI feature to make an appearance was rage-inducing -- especially when you're looking to test whether it's identifying objects correctly and how it decides to adjust settings when it spots something that warrants it ... like in a camera test. Is this better than misjudged scene modes, like we saw with LG's similarly AI-skilled V30 ThinQ? I'm not sure -- I just wanted more consistency. Temperamental behavior wasn't a deal-breaker, however, simply because I was so pleased with the photos that the AI-assisted camera eventually did capture. 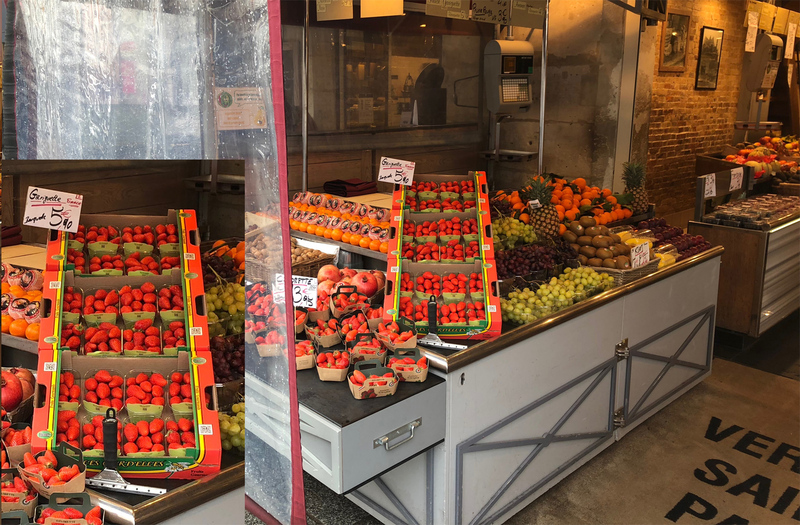 They are all Instagram-ready right out of the box: portrait-mode-detected images had smoother skin tone and added gently blurred backgrounds, while the P20 Pro boosted the colors it picked out on food and flower shots. Huawei's imaging algorithms and settings, while a little aggressive with saturation and bokeh effects, sometimes employed only a light touch to photos. 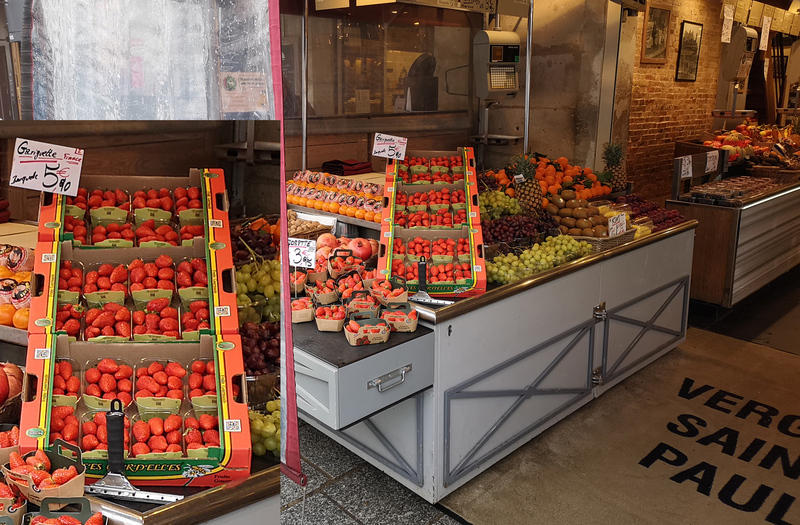 Here's the P20 Pro's AI setting for food photography, compared with a standard shot on the iPhone X. Left: Huawei P20 Pro; Right: iPhone X. If anything, Apple's phone amps up the color on the strawberries a little too far. Note how the white sign stays white in the P20 Pro sample. Huawei installed a color temperature sensor amid all those camera lenses, and it seems to do a pretty good job. Huawei's zoom system works so much better than I thought it would. The P20 Pro uses both the telephoto camera lens -- capable of 3x optical zoom -- and the 40MP primary sensor to offer a hybrid 5x zoom that takes really, really impressive stills. Interestingly, 3x zoom on the telephoto lens alone would be enough to best the iPhone or the Galaxy series, both of which go with 2x optical zoom. The hybrid option then adds a substantially bigger jump in magnification, which made framing easier and ensured I got all the detail I wanted in my shots. I'd normally shy away from digital zoom, because it usually makes muddier, noisier images. The P20 Pro's hybrid zoom didn't have that issue. Nighttime shooting was another situation where the P20 Pro shone. As I mentioned in passing during my preview, the phone comes with long-exposure modes that don't require tripods. From what I've been told, it combines the Kirin NPU chip to chew over long-exposure captures and bring them all together, with the high-megapixel primary shooter doing a lot of the legwork. The results were often jaw-dropping: When in Paris, right? In comparison, taking the same shots on my iPhone X resulted in noisy, hazy photos. Pretty, but simply not as good. Meanwhile, look at the detail on the Eiffel Tower's cross-struts above: It's impressive as heck. (I've included all my full-size images in a Flickr album below.) Better still, it was easy. 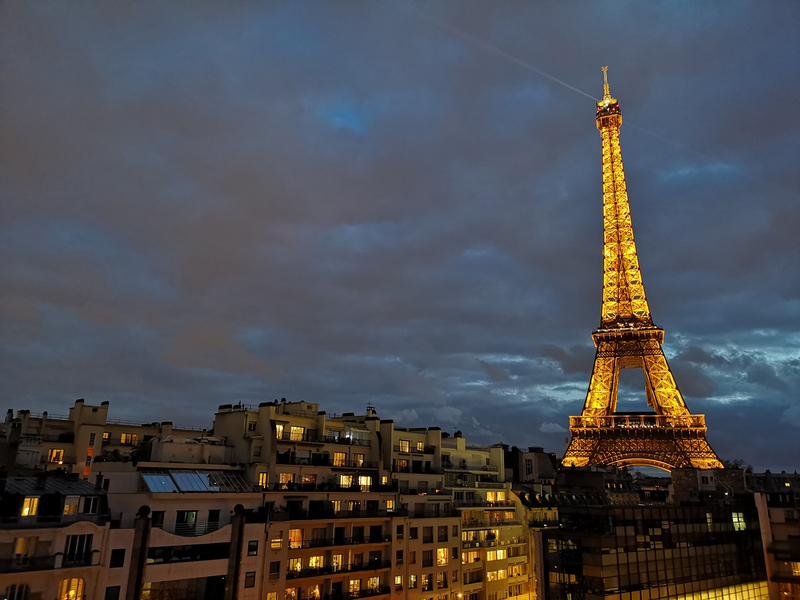 No tripod; swiped to "Night mode" in the camera app; tapped on la tour Eiffel; and this was the result. 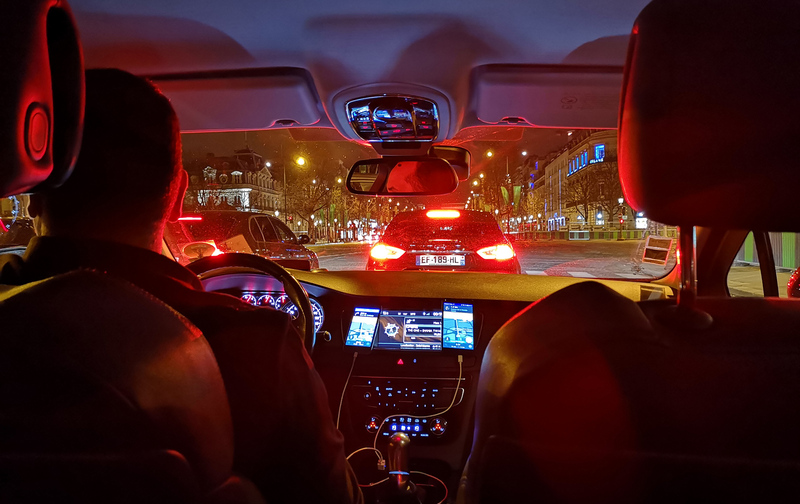 In low light elsewhere, the P20 Pro also delivered reliable photos that were nicely contrasted, with plenty of detail. There's a handful of other tricks and modes that you have to actively seek out, and that's the biggest problem when it comes to Huawei's otherwise wonderful camera phone. It's hard to find the settings that you're looking for. The company says the P20 can reach an ISO setting of up to 102,400 -- that would be as much as many DSLRs, but I couldn't test it, because it's coming in a later software update. It also took me a while to figure out long-exposure settings too. My tip? Just select Night mode. It's easier. I enjoyed unearthing the P20 Pro's range of shooting tricks (monochrome photography, aperture mode for post-shooting focus, portrait mode, light painting and many more) and useful features that goes beyond image quality: the fact that the P20 Pro can boot into the camera app and snap a (out-of-focus) still immediately in less than 0.3 seconds. Those interface issues shouldn't detract too much from the miraculous photos this phone is capable of taking. The main question is: How patient are you? You really have to pin down the shooting options that work for you, whether that means turning the AI assistant off entirely or sticking to the Pro mode. Yes, it takes time to learn the ropes on Huawei's P20 Pro, but the results prove it's worth it.